The Daytona Beach Saudi Lunch Bunch met on Saturday, March 19th at the Pelican Bay Country Club. People came from as far away as Jacksonville and New Smryna Beach. It was fun seeing everyone and catching up on ARAMCO news. Carolyn Thomas invites Aramcons in or around Daytona Beach, Florida to attend the local Saudi Lunch Bunch. 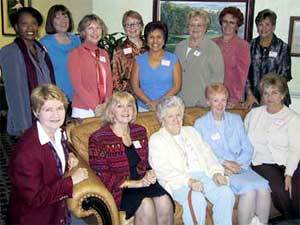 The lunch bunch is also open to women who lived in Saudi Arabia, not just Aramcons. For more information or to be added to our list of people in the area, please e-mail Carolyn Thomas at [email protected].